During the frigid winter temperatures and office colds/flu’s we tend to resort to over-dosing on Vitamin C, however, there are many other vitamins that we should pay close attention to as they are depleted from the body during the cold/dry season. Vitamin C is great for boosting your immune system, preventing cancers, and shortening and relaxing the common cold/flu symptoms but it’s neither a cure nor a preventative. Take a look at some of these daily vitamins we tend to ignore but are so crucial during the winter season. I’ve stocked up for the winter season with the following packaged vitamins. This amazing antioxidant boosts the immune system, improves vision, cuts risk of heart disease, and slows the skin aging process. The antioxidant properties add the proper level of moisture to the skin to combat the winter dryness and keep the skin from being damaged. 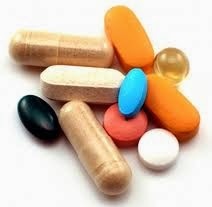 Women use vitamin A for heavy menstrual periods, premenstrual syndrome (PMS), vaginal infections, yeast infections, “lumpy breasts” (fibrocystic breast disease), and to prevent breast cancer. The eight B vitamins help maintain metabolism, maintains muscle tone, keeps a sharp mind and is a natural anti-stressor. It’s also known as the “beauty” vitamin which promotes healthy hair, nails, and skin. Vitamin B turns carbohydrates into glucose in the body, thus leading to energy production and a decrease in fatigue and lethargy in the body. Foods to eat: Whole grains, asparagus, meats, eggs, grains. Doctors have said this vitamin can lower your risk of breast cancer by 50 percent, and it may offer protection from both ovarian cancer and diabetes. Vitamin D is known as the happy pill. Feeling the winter time blues or seasonal affective disorder? Symptoms of seasonal affective disorder typically include fatigue, weight gain and cravings for sweet and starchy foods. Daily intake of 1000 IU has been known to help those with this disorder as well as depression. It also helps with the development and maintenance of your bones and teeth. Foods to Eat: Milk, Orange juice and salmon. Foods do not give you the suggested daily amount. A daily Iron supplement may be useful to those tested low in iron to help with the formation of red blood cells which carries oxygen around the body. Proper dosages of iron are necessary for energy, performance, and vitality. Talk to your doctor for the proper dosage if you’re feeling tired, lethargic or light headed.